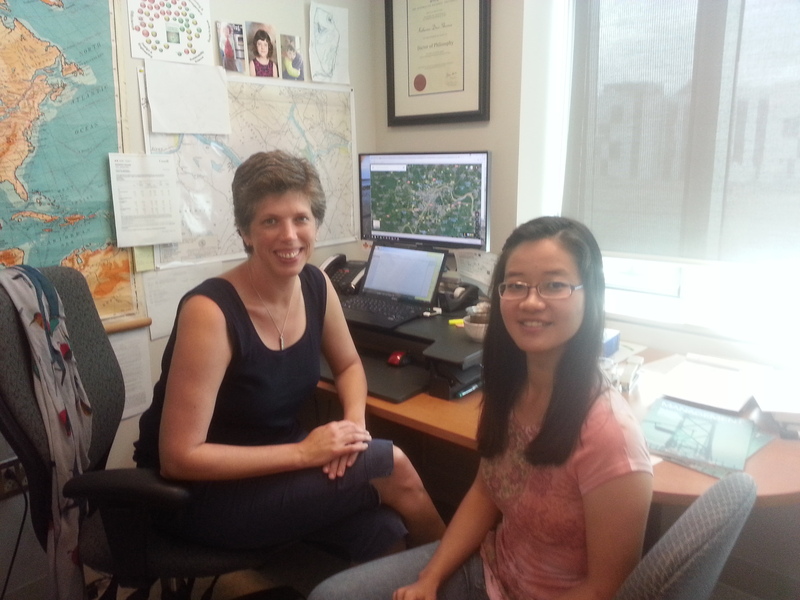 With Jingwen (June) Qin on her last day as a Mitacs Globalink intern. Farewell to Jingwen (June) Qin, who headed back to China early this morning to begin her final undergraduate year of urban planning at Wuhan University. 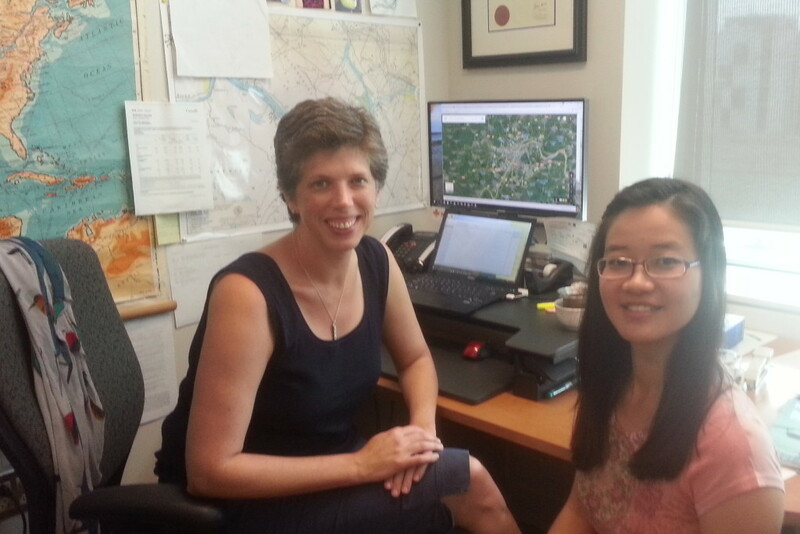 She has been working with me on a research project this summer, funded by the Mitacs Globalink, using Sina Weibo social media to understand Chinese student perspectives on Halifax. It was great to have her overlap with Ruoqian (Joy) Wang, last year’s Globalink intern, who has just arrived to begin her MES at SRES with Karen Harper and I. I hope June takes a similar path back to us next year. Thank you, and bon voyage, June.